Don’t let this October heat wave stop you from enjoying the weekend. Let our Go Metro Weekend roundup be your guide to the best Metro accessible things to do this weekend. For art lovers ArtNight Pasadena (Gold Line) offers the best of Pasadena’s many galleries and 10% off merchandise for Metro riders. The L.A. Art Experience (Red/Purple Line) on Saturday and Sunday will showcase great American contemporary art in downtown Los Angeles. Foodies and lovers of great performance have two great options this weekend. 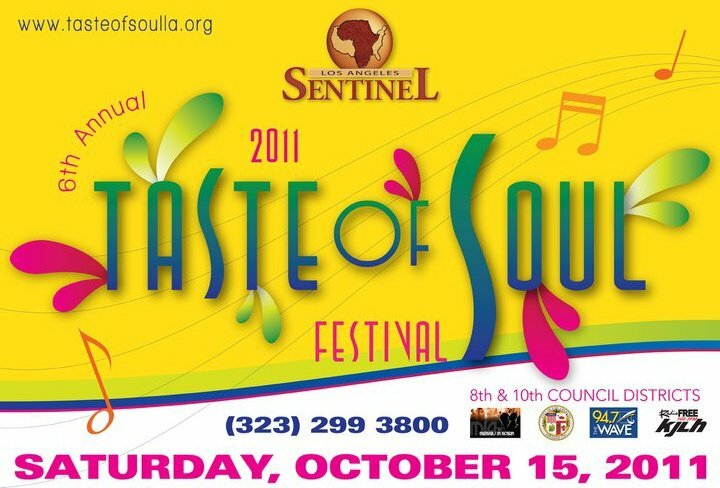 Saturday’s Taste of Soul Los Angeles (102, 210, 305) features of star-studded line-up of soulful singers and soul food. Sunday’s Old Pasadena Cultural Dance & Food Festival (Gold Line) is a free event featuring some of L.A.’s best dance companies. And the South Bay Food Festival is Saturday at the Home Depot Center in Carson (Silver Line, 205). Metro accessible Halloween events are happening all month. Get in the mood by checking out the Old Town Haunt in Pasadena (Gold Line Memorial Park) and Universal Studios Halloween Horror Nights (Red Line Universal City). There are many more options on the Go Metro Events Calendar after the jump. Click here for the mobile friendly version of the calendar. All events are subject to change or may be be sold out, please check with the venue before making plans. A denotes an event with a Destination Discount – Go Metro and save! To plan your trip and to check all other transit options, please consult Google Transit or the Metro Trip Planner.